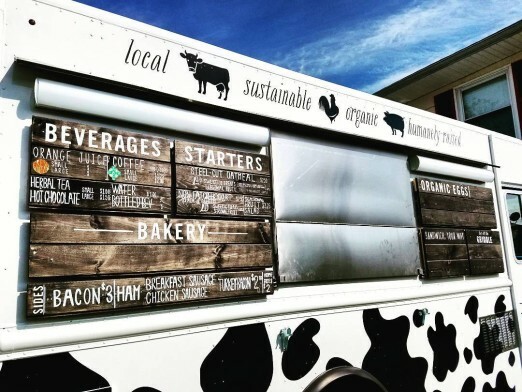 The Breakfast Shack, a new food truck selling classic and inventive breakfast items, is planning an early summer opening in front of Athens Square Park, at the corner of 30th Ave and 30th Street. 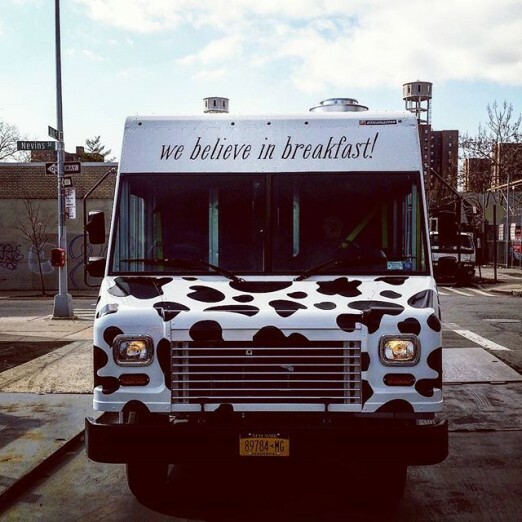 Yesterday DNAinfo reminded us of The Breakfast Shack, a new food truck setting up shop in front of Athens Square Park this summer. It’s the brainchild of Queens native Joe DeMato, who grew up in Bayside but spent a lot of time in his youth here in Astoria, where his grandparents are from. Because of this, he feels a connection to the neighborhood, so much so that it drove him to eventually choose to locate his truck here, rather than near parks in Manhattan, Brooklyn, and the Bronx. 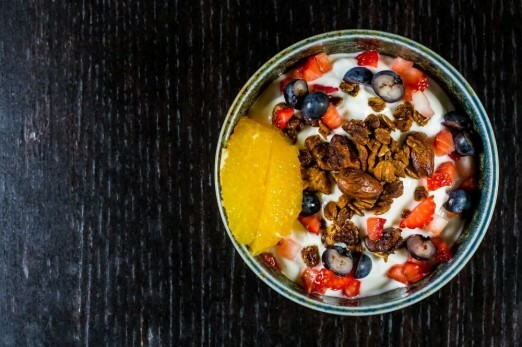 Greek yogurt with home-baked granola and seasonal fruit. He has a background in the food and hospitality business. As a kid, he helped his mother and grandmothers in the kitchen and liked it so much he decided to get a culinary degree. Later on in life he worked for several years at the Carlyle Hotel, essentially as a “jack of all kitchen trades,” working in the kitchen, as a bartender, and managing the staff cafeteria. His signature dish is the “Shack Bites,” which are made with scrambled eggs, potatoes, bacon and cheese that’s dipped in pancake batter and rolled in honey corn flakes and deep-fried. “Basically breakfast in a bite,” DeMato said. 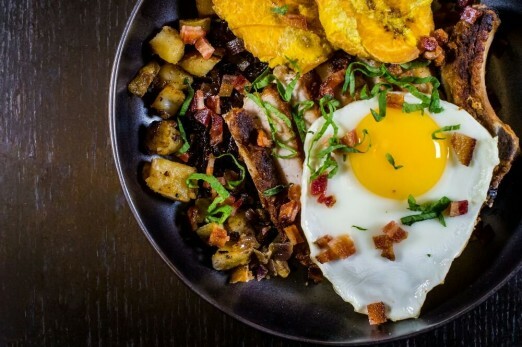 Other dishes include braised short ribs over cheesy jalapeño grits, a pork chop with tostones, sweet potatoes and a fried egg over bacon shallot jam, and bourbon chicken hash. Organic, fair-trade coffee will accompany all the food, and Joe will get his beans from local roaster White Coffee. Bourbon chicken hash with bacon, pesto, and a fried egg. 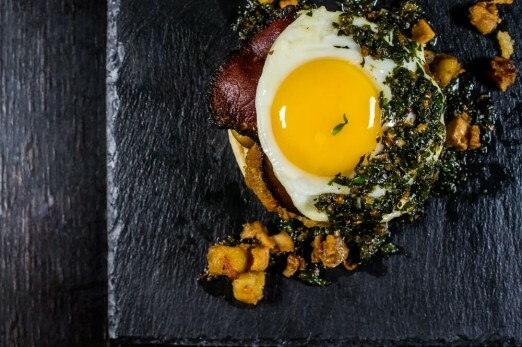 Herb-crusted pork, breakfast potatoes, bacon-onion jam, tostones, and a fried egg. Look for them opening in early to mid June. Planned hours are 6-11am on weekdays and 8am-3pm on Sundays. And you never know, you might catch Joe’s father and cousin helping serve food and drinks at the truck! 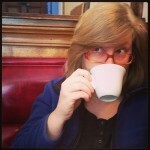 Welcome to the neighborhood, Breakfast Shack! We can’t wait to stop by and enjoy your food. Delicious French toast and chicken bourbon hash. We are out of owners but will be back during this stay. YAS! This is exciting, especially for Sundays. Not sure they can drum up enough business on weekday mornings, though.